Nissan is the only automotive company offering a comprehensive wear-and-tear warranty. Coverage includes shocks, struts, mufflers, and brake pads, and it is in effect for the term of the contract purchased. (Only parts coverage applies; labour is not included). We will reimburse the costs paid to a recognized rental establishment to rent an alternate vehicle when the covered vehicle is immobilized overnight due to a failure of a Covered Component(s) under the Certified Pre-Owned Agreement or the New Vehicle Limited Warranty. SiriusXM satellite radio free-trial to be offered on Certified Pre-Owned vehicles for 3 months. If you find yourself dissatisfied with your newly acquired Nissan, simply return it to us within 10 days / 1,500 km and exchange it for another Certified Nissan. Woodbine Nissan has complete details on this program for Certified Pre-Owned Nissan vehicles in Toronto. Please contact us for full benefits coverage. Every Nissan must be in prime condition and pass a 169-point inspection before it qualifies for the Nissan Certified Pre-Owned program. All significant components of the vehicle are scrutinized. The vehicle receives a Certificate of Inspection when all 169 points meet or exceed our standards. Only then can it to be admitted into the Nissan Certified Pre-Owned program. A CarProof™ Comprehensive Vehicle History Report is included. 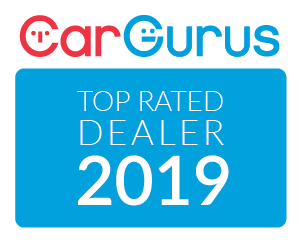 CarProof is a Canadian vehicle history reporting service that provides Canadian used-vehicle data to consumers, dealers, manufacturers, and automotive associations. Every Nissan Certified Pre-Owned model includes a CarProof™ vehicle history report that provides you with Canadian insurance claims history and cross-Canada registration status. If a CarProof report indicates that a vehicle has been categorized as Salvage, Rebuilt, Non-repairable, Stolen, Fire/Flood-damaged, or has incurred a significant insurance claim, it will never be chosen for the Nissan Certified Pre-Owned program. If you’ve seen the selection of Certified Pre-Owned Nissan vehicles in Toronto, learned about their comprehensive warranties, and read about the intense certification process each one must pass, it’s time to take the next step. Search for the Certified or Pre-Owned Nissan of your dreams, then visit us at Woodbine Nissan to discuss your financing options. Rates start at 0.99% and available terms range from 24 to 84 months. Woodbine Nissan is your local Etobicoke Nissan dealership where we offer you a streamlined purchase process. From our friendly environment and knowledgeable sales consultants to our straightforward financing and vehicle delivery process, your first step inside is the first step in building a lasting relationship with us. Nissan makes exceptionally attractive financing terms available for its Certified Pre-Owned Nissan vehicles in Toronto. Contact us for more details.